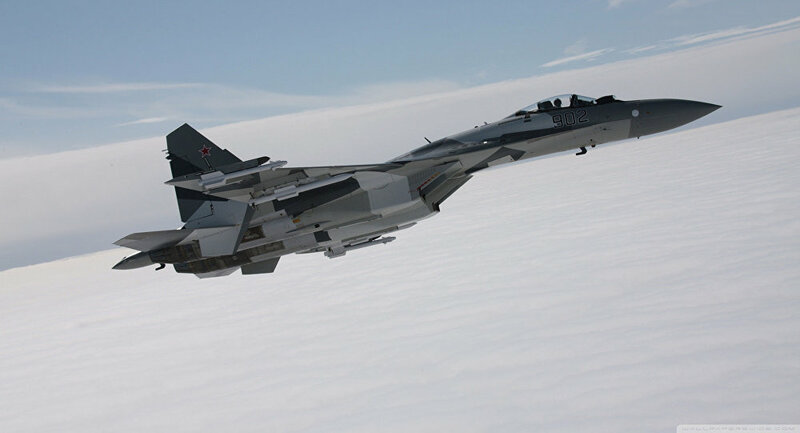 Russia’s state technologies corporation Rostec head Sergey Chemezov said that the United Arab Emirates, Indonesia and Brazil are interested in the purchase of Sukhoi Su-35 jet fighters. DUBAI (Sputnik) — Russia has begun talks with Brazil and Indonesia on the possible delivery of Sukhoi Su-35 jet fighters, Russia’s state technologies corporation Rostec head Sergey Chemezov said Monday. On November 8-12, Russia is currently presenting aircraft and air defense systems at the Dubai Airshow in the United Arab Emirates (UAE). "There is high interest for the jet, but no strict contracts have been [signed] yet. In addition to the United Arab Emirates, Indonesia and Brazil are interested in it," Chemezov told reporters. The Su-35 fighter (NATO reporting name Flanker-E) jet is an upgraded version of the Su-27 multirole fighter. In 2013, it was first introduced to an audience outside of Russia.